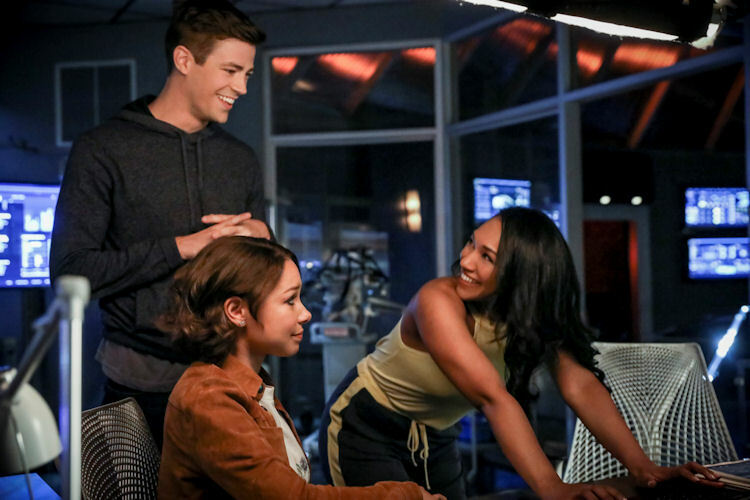 What’s the scoop: Nora is trying to fit it with Team Flash, even points out the real reason why she’s hanging around, and shows the second newspaper headline about The Flash staying missing. Iris takes this news remarkably well, though she has the attitude of “We’ve broken time before to get what we want; we can do it in this situation too.” With Nora sticking around for a while — like with Kid Flash a couple of seasons ago, and Ralph last year — Barry goes into mentoring mode with this future daughter, to make her a better speedster/hero. Meanwhile in B-plot Land: Take your pick here. The capital-B plot was Ralph trying to help Cisco get over his breakup with Gypsy, which involves a breakup bucket list of things Ralph uses to get back into the game. Of course, every item on that list is predictably absurd, especially for Cisco, and comedy ensues. If that doesn’t work,we have Cecile losing her pregnancy telepathy, being stressed that she isn’t linked to her daughter anymore, and afraid she’ll be a lesser mother because of it. Related to the Cisco story, is Caitlin wrestling with her father’s fake death certificate, and the emotional ramifications dealing with it will bring. Iris is keeping busy investigating what happened to Gridlock. What about the action: There’s a new villain of the week in Block, a meta who makes cubes of compressed air that she can manipulate to protect herself, or crush her enemies, as needed. This gives us a couple of encounters to see that Nora is a fairly smart cookie, despite not having a firm hand on her powers yet. With Barry trapped by Block, she uses her speed and some fancy parkour moves to wear the villain out, and slap the anti-meta cuffs on her. This provides our new hooded baddie with the lightning knife (we later learn he is dubbed “Cicada”) a chance to stab Block, temporarily interrupt the powers of Barry, Cisco and Ralph, and to kick the stuffing out of three heroes. Cicada only stops when Nora returns, and he recognizes her. 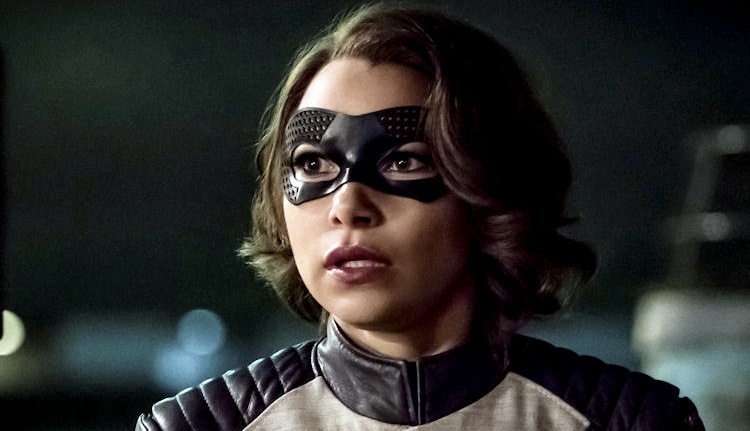 What’s next: We learn what Nora knows (via the The Flash Museum) about Cicada. Last impressions: By the end of the episode, everybody has a direction. Cicada is the big threat, and likely good and bad metas will need protection. Nora is inexperienced and downright klutzy at times, but she’s also earnest and has good rapport with Barry, so we’ll give it a pass for now. The writers have found a good tone so far. There are enough humorous moments to break the tension without clobbering us over the head with bad comedy, like last year. Of course, the season will hinge on the overarching villain, like it always does. Let’s hope he can be more Thawne, and less DeVoe.